Imagine having a Star Wars R2D2 droid running wild in your house? 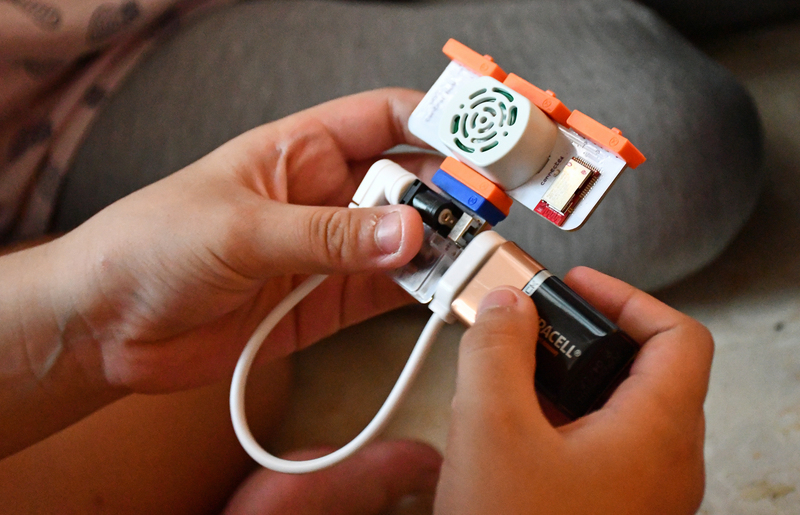 Presenting the LittlieBits Droid Inventor Kit that will stretch your child’s creativity and maximize his playtime. This little blue cutie-pie makes all the famed R2D2 sounds and it will definitely rock your child’s world. It gives me great pleasure to introduce to you Tinkercademy. With a vision to marry fun and learning in a seamless package, students, from 7 years of age can develop a sustained interest and passion in computational thinking and programming through the droid inventor kits. r. first thing you need to do is to download the droid inventor application which is found at your app store. After that, you just follow the simple instructions that are displayed via the app and you are good to go.r. first thing you need to do is to download the droid inventor application which is found at your app store. After that, you just follow the simple instructions that are displayed via the app and you are good to go. Follow the instructions and one will be led to download the droid inventor application which is found at the nearest app store. Whether you are Apple or Android, the application works and upon downloading, users just follow the simple instructions that are displayed on the screen. It was so simple, that my 10 yo son just went on auto-pilot and he took to assembling the R2D2 droid by himself. Yes! There was not a single call for help and it was so interesting that he was deeply engrossed with the new gadget. Within half an hour, he was ready to test drive his new droid! Branding these kits with Star Wars is a pure stroke of genius. as the mobile phone acts as a controller for the droid. The cool thing about the R2D2 unit is that it can manoeuvre around the house together with the musical chimes that is synonymous with the famous blue droid! Seriously, all Star Wars fans will love to get their hands on this droid. You can purchase this blue R2D2 unit via the R2D2 Droid Inventor Kit link at $159. 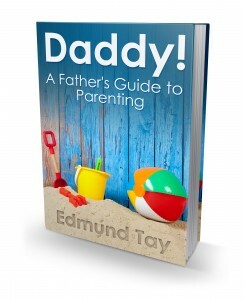 Tinkercademy has also extended a 10% discount to all our readers. All they need to do is to quote : TINKER X ED (Valid till Dec 2018). And Yes! We have good news for all our Ed Unloaded readers! 1. Comment on this blog post and tell us why you like the R2D2 Droid Inventor Kit? 2. Join and LIKE the Ed Unloaded and Tinkercademy Facebook page. 4. Share this blog post on your Facebook Wall with the Caption “Discover creativity with your own Star Wars R2D2 Droid” (Tag at least 2 friends). The Giveaway ends 7 April 2018 at 2359 hrs. We will be contacting you shortly about the collection of your prize. To the rest of our readers, do stay tuned for our next Ed Unloaded.com giveaway. 24 Responses to "Star Wars R2D2 (Giveaway)"
Thank you for this giveaway. 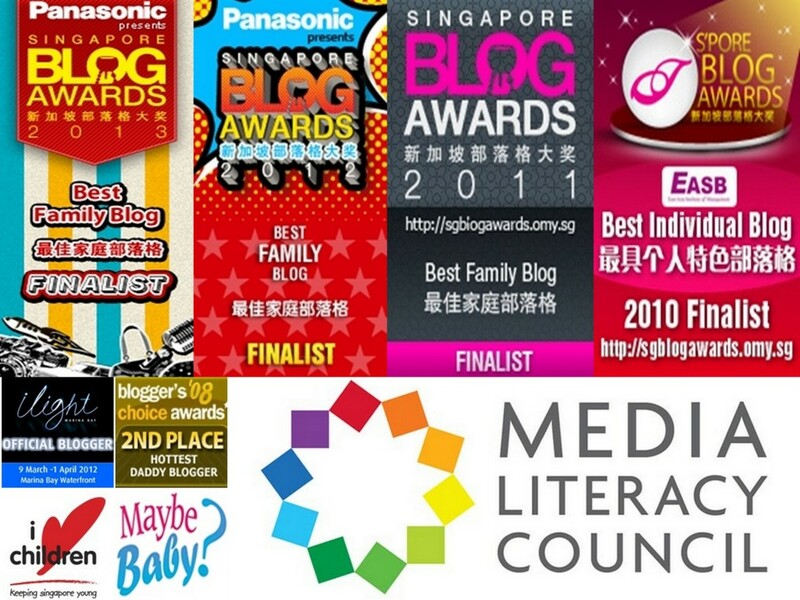 I hope to win this for my curious 8 years old, who will love this. She attended a Robotic session during one of the school holidays n she simply enjoyed the process of getting her creation to move. I would love to win because my whole family are fans of Starwar and my 9yo boy is currently into robotic. This R2-D2 Droid is more than perfect as a gift for his 9th birthday! I want to win because both my hubby and daughter are Star Wars fans. 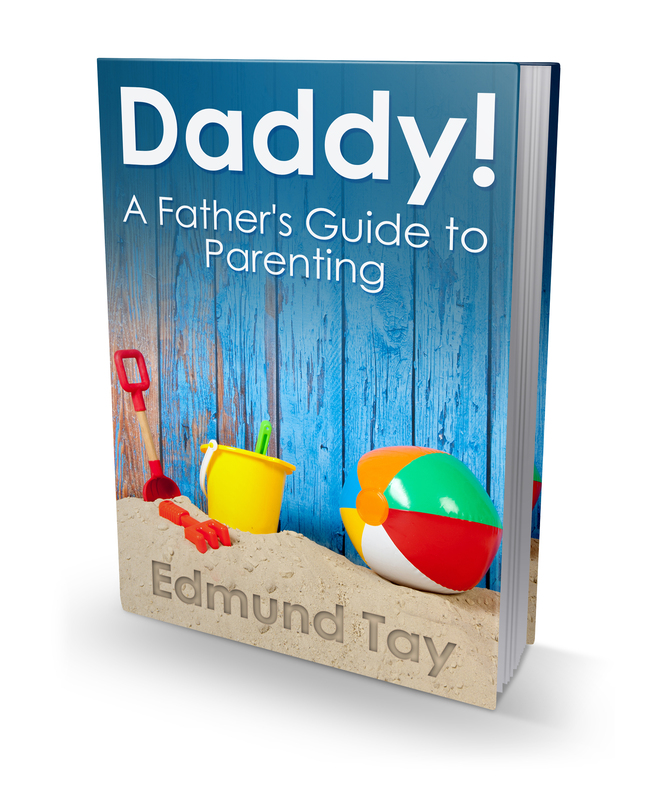 This will make a great Father and Daughter activity. I like the R2D2 Droid Inventor Kit because it encourages creativity and this starwars buddy is so cute! My boy was so intrigued when he saw a bb8 remote robot at a friend’s place. Im sure he will be so thrilled if he wins this for his upcoming birthday! He loves to fix things like lego and create his own designs… he is also into robots, motors and remote controls. This will be a perfect surprise fo him! Hope to win this! 🙂 Thank you edunloaded for this amazing giveaway! 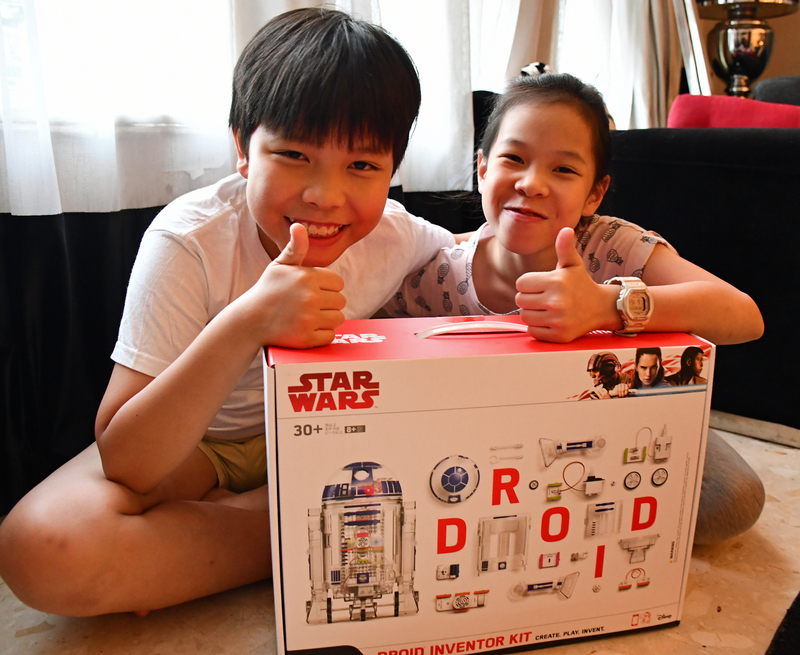 I simply love how the R2D2 Droid Kit is a gender-inclusive toy that celebrates kids’ own self-expression and ingenuity, while showcasing the same characteristics of imagination, grit and invention that are embodied in the Star Wars! Gosh! My boy saw this and was screaming for it as he loves Little bits and best of all he is a Star War fan! Hope to win this and get to “play” together with my boy! My family simply loves Star Wars so much and we would be thrilled to be able to win this R2-D2 Droid so that we can immersed into this ? 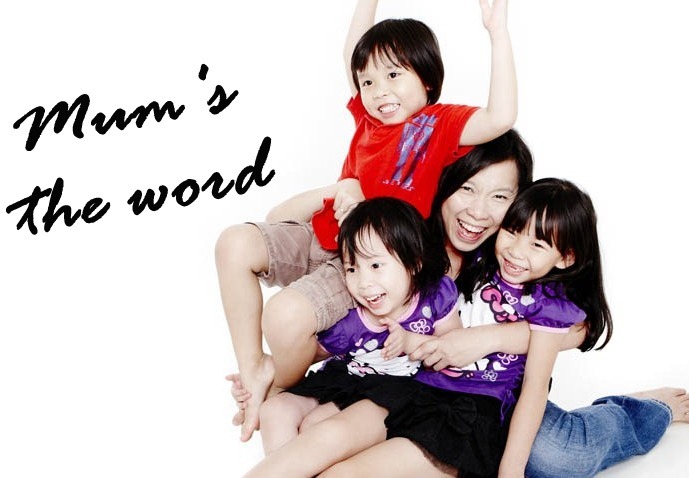 robitic activity together in our family bonding session! 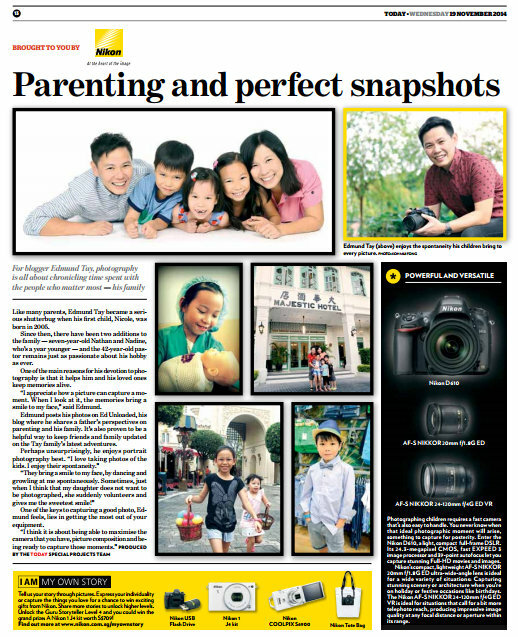 This will be the best present for my son’s birthday and to motivate and reward him for his PSLE! Thank you Ed Unloaded for the generous giveaway! My boys are major star wars fan, and they have always preferred the droids to the other characters. Hope to win this kit for them. My son is very inquisitive, likes to imagine and create. He LOVES robots, droids and dreams of becoming a mechanical engineer. He is very passionate about robotics and programming. We bring him to maker fare every year and his eyes would light up when he sees robots and droids there. I know he would be over the moon if I win this R2D2 for him. I already had intention to buy mindstorm.. Hence if i win this, i’ll venture into this brand of product instead of Lego. I am starting my 10yo on python coding. He has loads of R2D2 at home as he’s a star wars fan. If I win this, he’ll be exhilarated! And mama will save some money.. HAHA! I like this R2D2 Droid Inventor Kit because I am sure my girls will learn a lot while tinkering with it! It’s not something from textbooks. It is real life applied learning. My boys like to tinker and make things. This Droid inventor kit will appeal to them! I would love to win this because I love star wars!! So maybe it’s more for me, but I will share with the kids too haha! Thanks for running this giveaway! 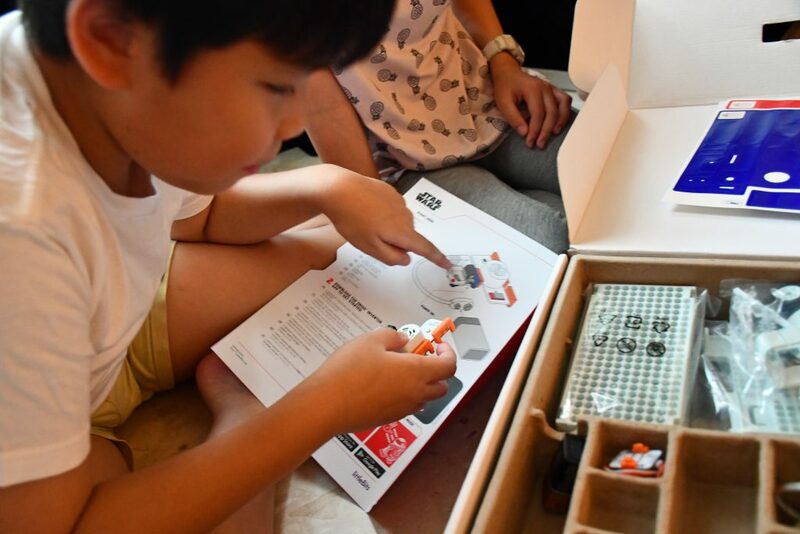 I love the R2D2 Droid Inventor Kit because it helps to spark the creativity of the kids, and to get them equipped with basic IT and hardware maker skills! 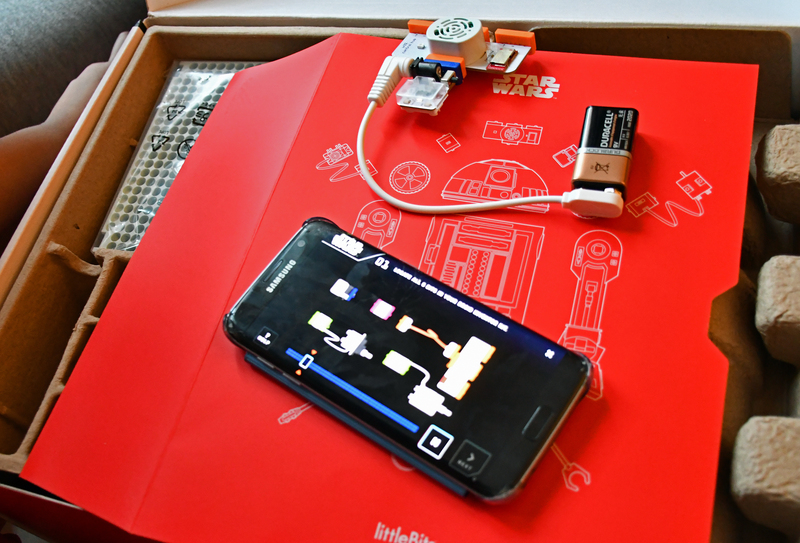 I love this kit because it combines fun with science, Star Wars with technology, providing a great platform for my two kids to have fun while learning! Hope to win this kit for them! Hope to win as I am amazed at how this technology and being a huge star wars fan, this is just the perfect fun for me and the family………….maybe more fun for me. But its great as a learning tool too for the kiddies!! Truly a fun educational kit! My girl enjoys such activity like Scratch, simple robotics etc. 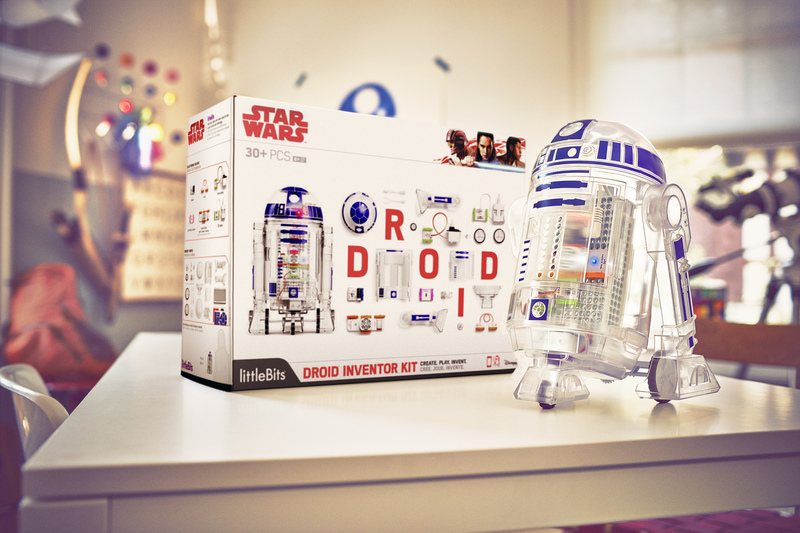 She will love this R2D2 Droid Inventor Kit so so much! My boys like to tinker, build and make things. This Droid inventor kit will appeal to them! Thank you Edunloaded for yet another interesting post. I love the R2D2 Droid Inventor because it is really a very innovative toy. My kids will enjoy the experience of putting the toy together and I am very sure they will have lots of fun just playing with it! This is a very nice toy and we are all Starwars Fan. Would love to be able to play with it….Thank you!